As I've fallen deeper into the rabbit hole of mixed media art, I've amassed quite a few new supplies. 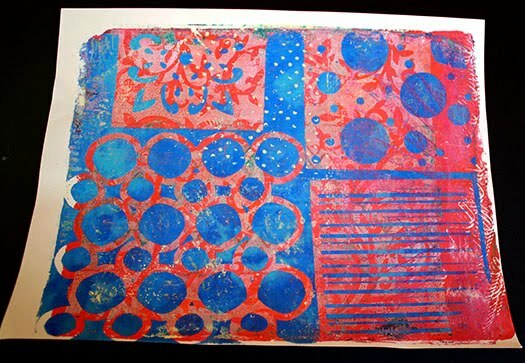 One of my favorites is a gelli plate. Mine is the Gelli Arts brand in the 8x10 size, but there are other brands available, other sizes, and apparently even ways to make your own. 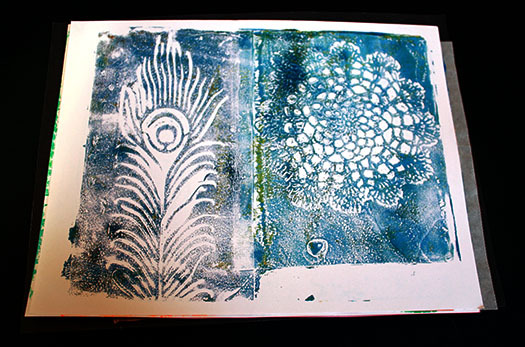 Throughout this post, I'll share some of the prints I've made with the Gelli Plate. 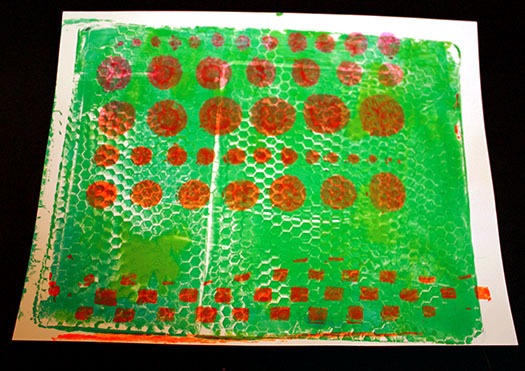 I guess I should explain that a gelli plate is a type of monoplate for monoprinting. It's a gel-like consistency. I believe mine is made of mineral oil or something like that. I'm all technical here. 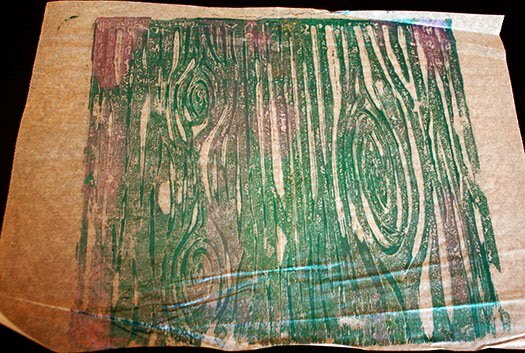 Typically you use a brayer and acrylic paint on the plate to make the prints, but there are plenty of other options I suppose. I just haven't tried any of them myself. 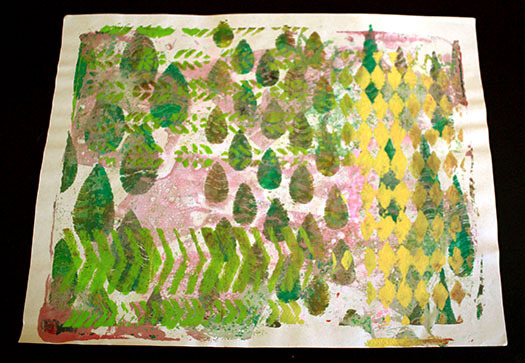 You apply one or more colors of the paint onto the plate and brayer it out over the surface. 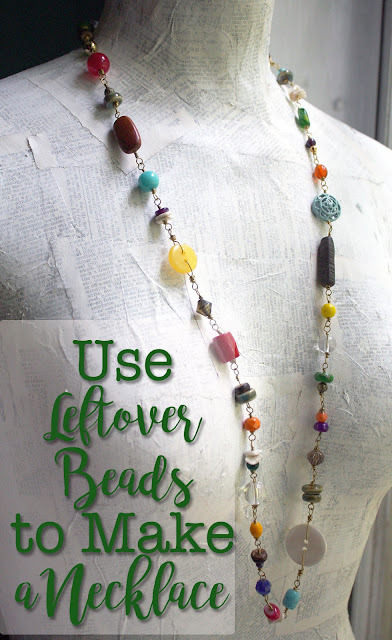 After that, there are endless ways to make your print. You can use stencils, texture tools, your finger, blunt drawing instruments, and whatever else you can find to create a pattern on the plate. Then you lay out your paper (or fabric or whatever you're printing on.) The paper options are pretty endless too. I've used cardstock, copy paper, patterned scrapbook paper, deli paper, and stickers/labels. After letting your paint dry, you are free to leave it as is or add more and more layers of texture. I can't say they all turn out beautifully, but you can keep adding layers until they do. I got interested in getting a gelli plate after I watched a few videos from Tiffany of Southern Gals Designs and knew I had to have one of these mystical surfaces. Probably the first video I ever saw with a gelli plate was Tiffany showing how to use household items on her Gelli Plate. 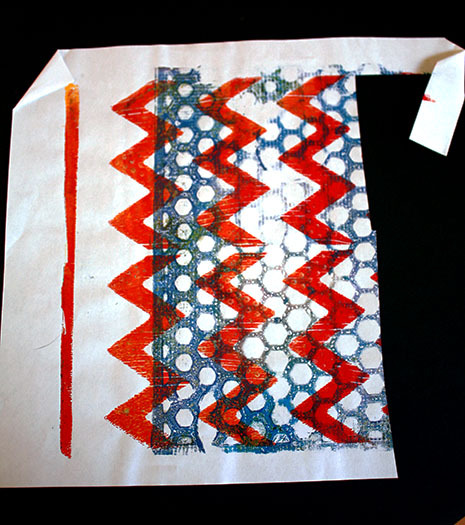 Then she shared how to gelli print envelopes and papers. Those were both from over a year ago, but her latest video shows how to make easy backgrounds using the Gelli Plate. Every time I watch one of her videos I want to break my Gelli Plate out and play. 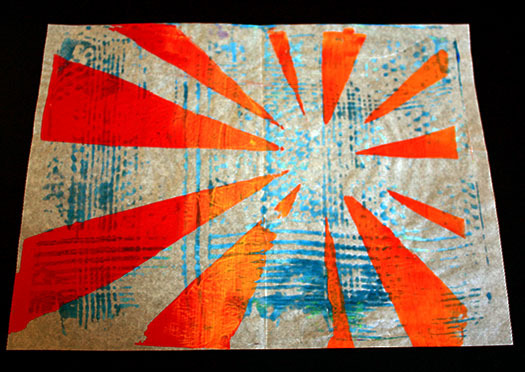 Gelli Arts has their own videos of great ways to use the plate also. And, there are tons and tons more you can find on YouTube by searching Gelli Plate or gelli arts or anything along those lines. 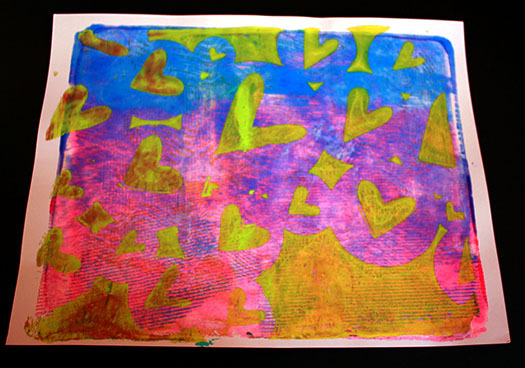 I even made my own video of Monoprinting with a Gelli Plate (above) as I worked to create some prints for a swap. 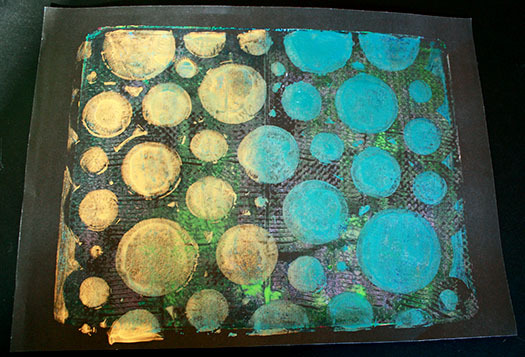 In the video, you can see how I use the Gelli Plate and what it looks like. However, everyone has their own technique and style. I think mine may evolve over time as I learn what kind of results I want. Some of the prints from above are in the video, see if you can catch them. Have I made you want one now? I'm so sorry. . .kinda. They really are a lot of fun and the results vary every time so it's always such a surprise. I think that may be my favorite part! Let me know if you have any questions I didn't cover and I'll see if I can come up with an answer for you. I just had to share this fun craft supply.